The 2012 ASAE Annual Meeting takes me to Dallas for the first time and as with any new city I visit, I’m excited to explore the local brew. But as I started my pre-trip research, I started to worry. From an article about the Dallas beer scene in the January 2012 issue of D Magazine: “We were the largest U.S. city without a microbrewery. Now we have three…” Hmm, Dallas doesn’t sound like much of a beer destination. In the absence of local brewpubs, I’m hoping there are some serious beer bars to fill the void. We shall see.. 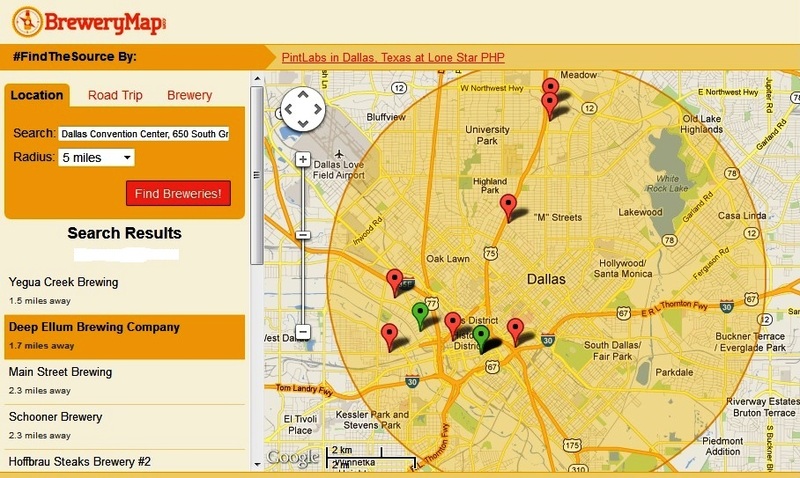 Using RateBeer.com, BeerMapping.com, and the Brewery Map app, I discovered a handful of promising beer spots within a 5-mile radius of the Dallas Convention Center, site of the 2012 ASAE Annual Meeting. From their Website: Deep Ellum sounds serious about their beer – they have a Beerfesto, their pledge to craft beer. Offers tours every Saturday from 12:00-3:00 p.m. $10 gets you a tour, glass, and complimentary beer. 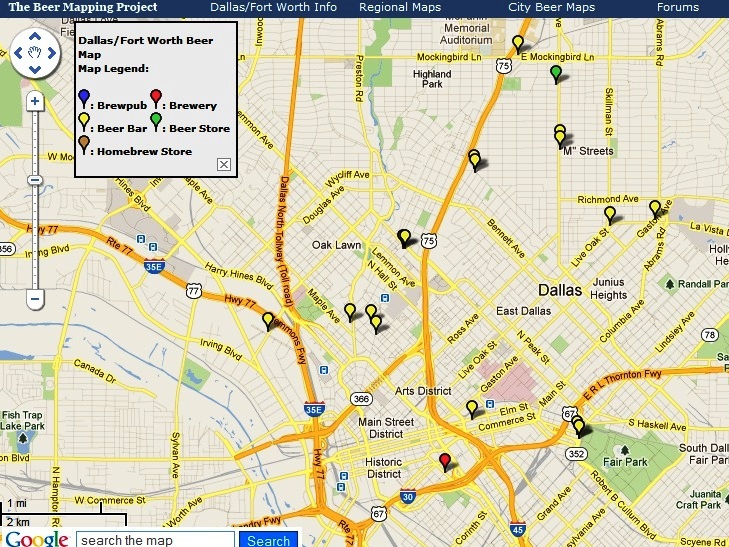 From their beer distribution map, it looks like I’ll be able to find a lot of Deep Ellum on draft around the city. Beer: Three year-round brews, led by their flagship Deep Ellum IPA, plus seasonals. From their Website: This brewery lets the market tell it which beer styles it wants. Rather than push a predetermined “flagship” on the masses, Peticolas brews two styles per quarter until customers’ reactions, feedback and buying habits merit a year round beer. Just announced: Velvet Hammer, an Imperial Red Ale, is the brewery’s first year round beer. The “Where’s our Beer” page shows two dozen bars and restaurants that have at least one Peticolas beer on tap. Private tours are available for groups of 25 to 50 — $15 per person fee includes choice of glassware, private tour, full access to the brewery, a Q and A session with the brewers, and beers tastings. Beer: There are eight beers listed on their web site, but aside from Velvet Hammer, it’s not clear what’s currently available. Beer: With 40 beers on tap, I’m tempted by the “Flights of the Moth” – pre-set menus of five 5 oz. glasses of draft beer. Would love to to try the Texas flight – Deep Ellum and Peticolas on draft here. From their Website: Brewsday Tuesday features $2 off 20 oz. pours, $3 off flights of beer, and $5 off 22 oz. or larger bottles of beer. Best better beer deal in town, period. Beer: 24 beers on tap, including 10 craft brews from Dallas, Austin and Houston. From their Website: The Ginger Man is a family of pubs that started in Houston in 1985 and now includes locations as far as New York and Connecticut (I’ve been to the NYC location). Happy Hour weekdays, 3:00-6:00 p.m., $1 off most pints and talls. On Tuesday, logo pint night starts at 6:00 pm – buy the beer, keep the glass. August 14 will feature Boulevard in a special glass. Beer: More than 80 beers on tap, including locals Deep Ellum and Peticolas. Is that Moose Drool Brown Ale on the draft menu? I may have to visit Ginger Man just for Moose Drool, one of my favorite can’t-get-in-D.C. beers. From their Website: A place to eat, a place to drink, in the heart of West Village. Beer: 40 beers on tap, including locals Deep Ellum and Peticolas and other Texas brews. All draft beers $5. Although Dallas doesn’t have many local brewpubs and breweries, there are several solid beer bars featuring craft beer from all over the state of Texas. I shouldn’t have a problem finding good Texas brew. Are there any other must-visit beer spots in Dallas?